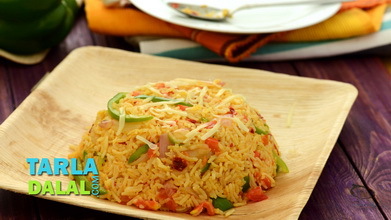 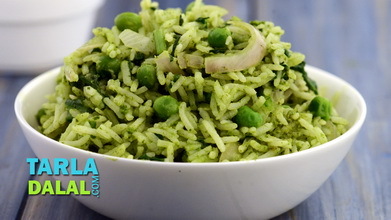 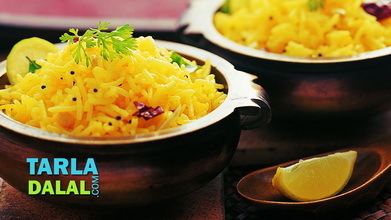 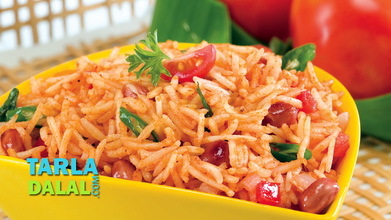 This rice delicacy is appealing to most infants because of its bright green colour. 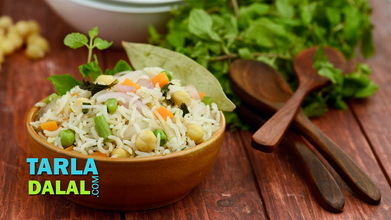 Spinach provides the much needed iron and folic acid for your growing baby while paneer is a good source of calcium. 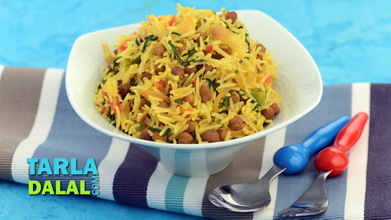 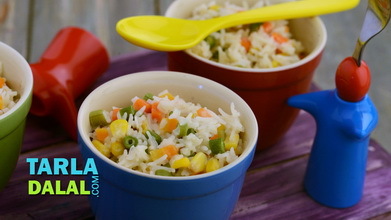 This nourishing rice serves as a full meal for lunch or dinner keeping your baby satiated for a longer time. 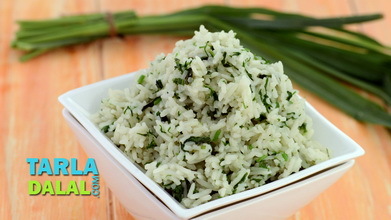 When the seeds crackle, add the rice and sauté on a medium flame for 1 minute. 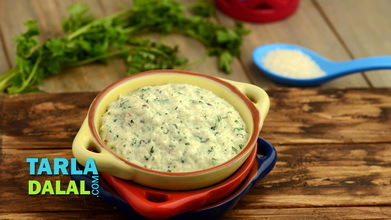 Add the spinach, paneer, salt and 1 cup of water, mix well and pressure cook for 2 whistles.